I’m very excited to share the professional photos & details of my daughter Brooklyn’s One Room Challenge makeover! To recap – Brookie is a girlie girl. She loves all things pink, happy & sparkly! 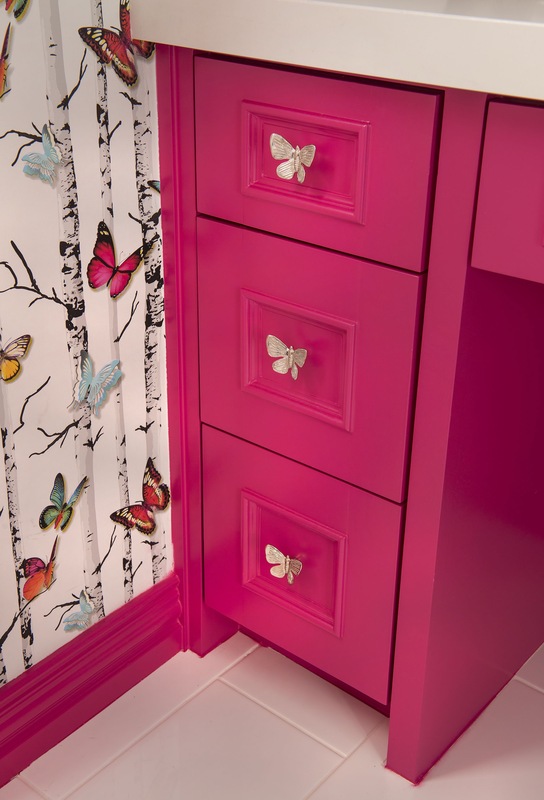 Her main requests for her room were butterflies & pink! 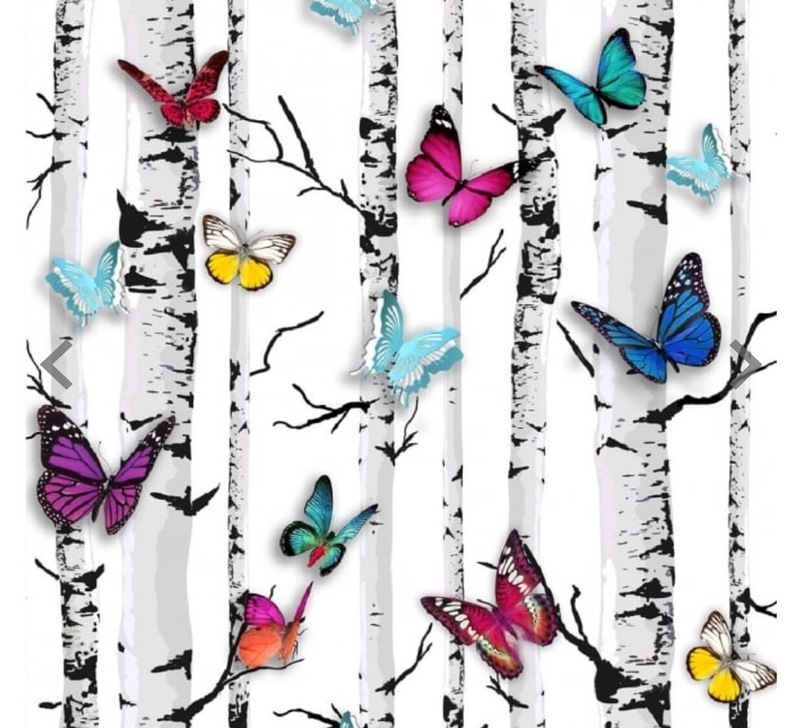 The jumping off point for her room was this adorable butterfly wallpaper that I found. 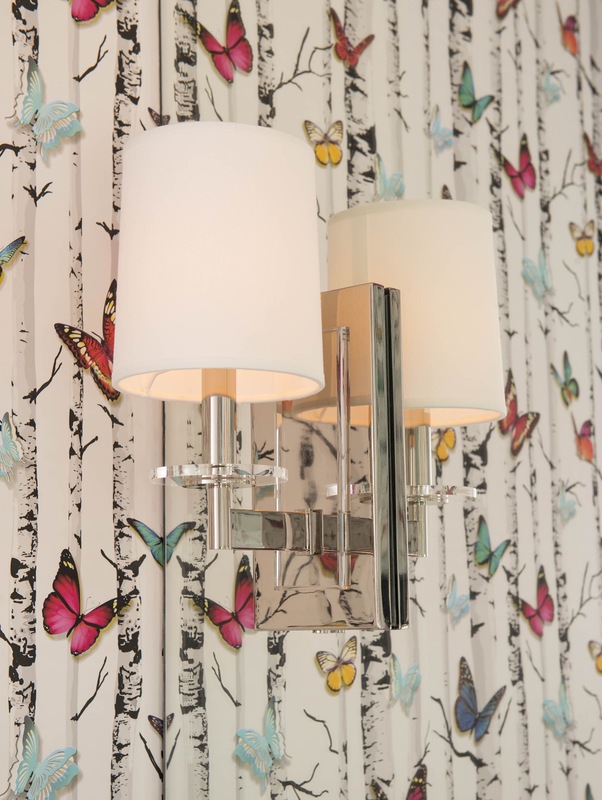 We used the wallpaper in her bathroom & I had my decorative painter paint large scale butterflies based on the wallpaper flying around her room & ceiling. 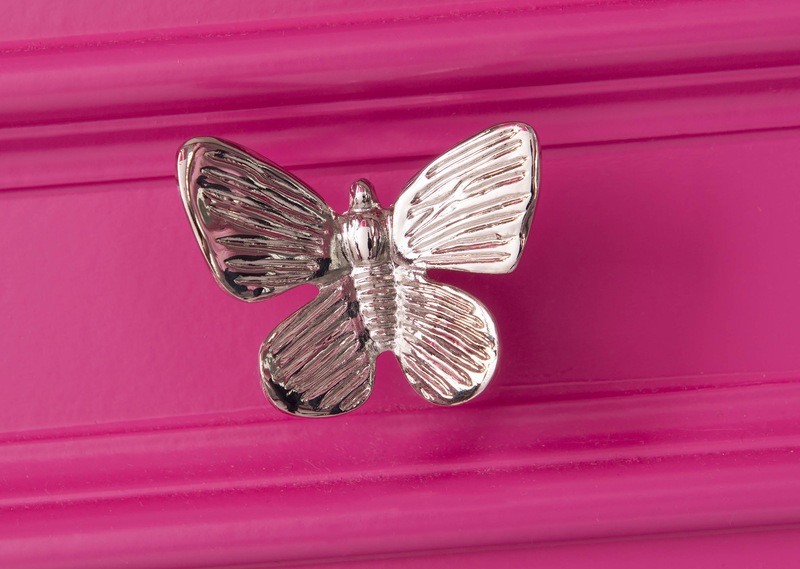 The butterfly hardware I used in her bathroom can be purchased at IBB Design. 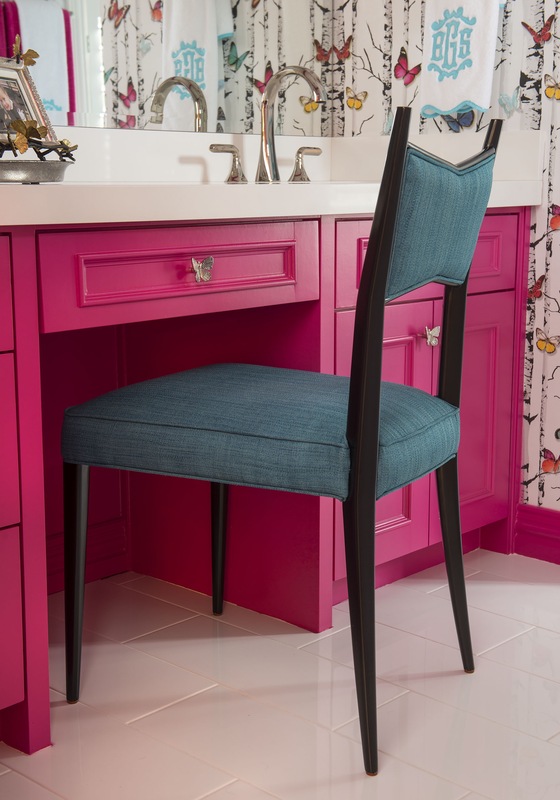 The Kate Spade chair is also from IBB Design. 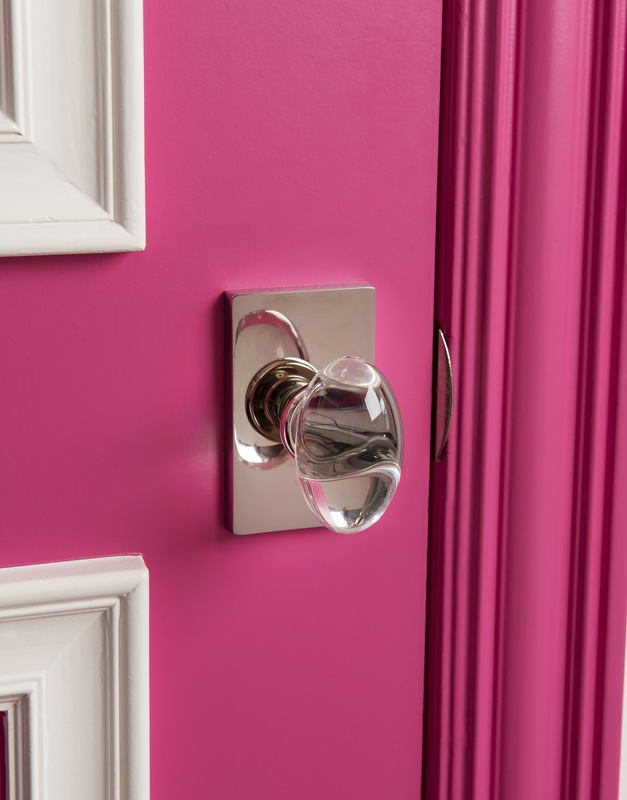 The crystal oval shaped door hardware (one of my all time favorites! )is from Emtek. Her linens are all from Leontine Linens. 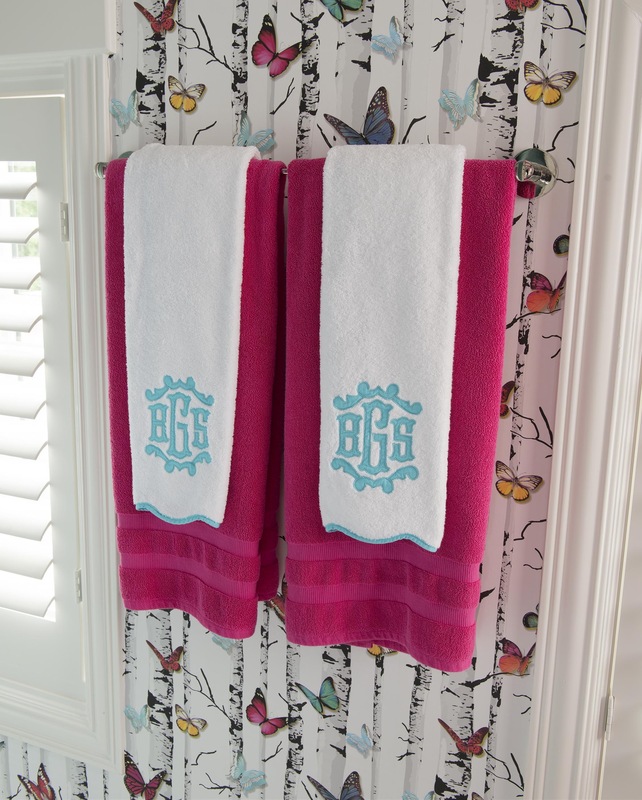 I just love how her monogram turned out on her shams, duvet & towels! 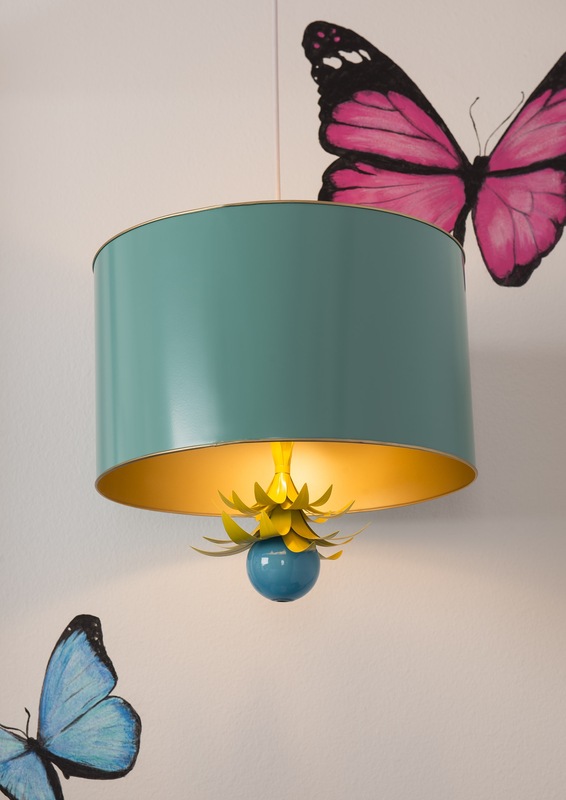 The sconces in her bathroom & pendants over her nightstands are also available at IBB Design. Brookie loves art and to paint and draw. 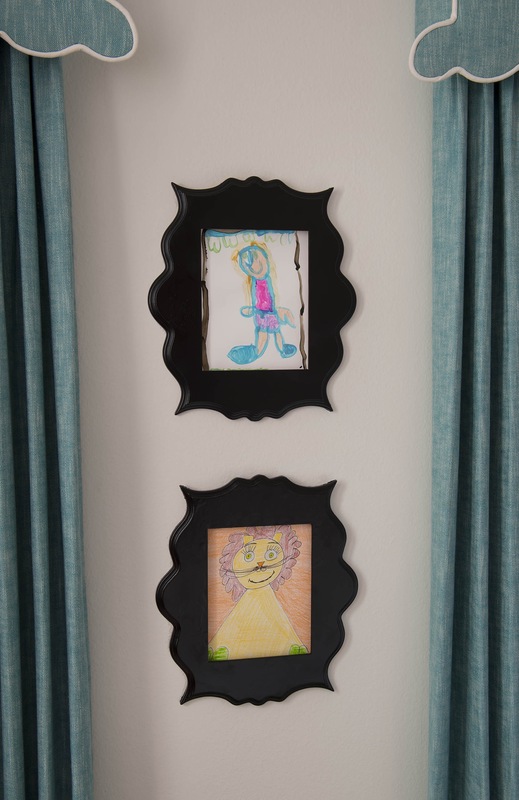 For the artwork in her room, we chose two frames where she could change out the pieces whenever she wanted to display one of her newest creations. She even painted the frames herself. I love that this is something she can look at daily & be proud of herself. 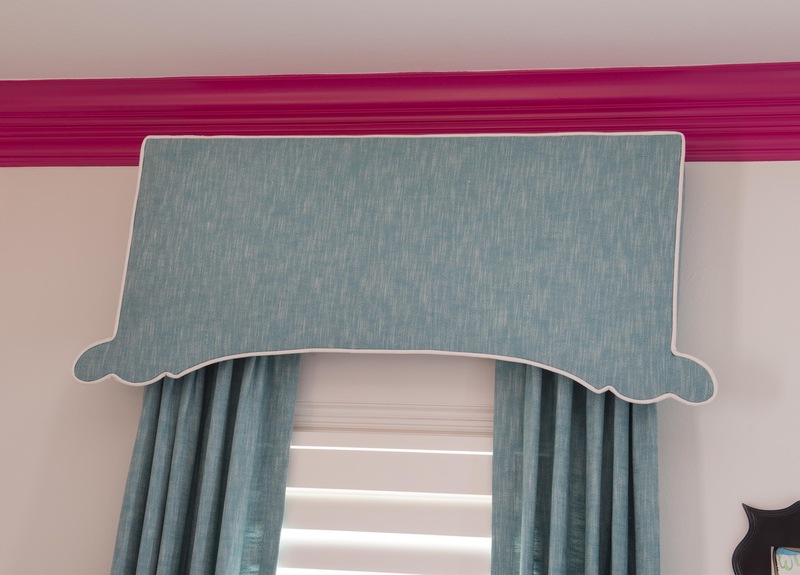 For her drapery, I designed shaped cornices with fixed pleated panels to dress the windows. 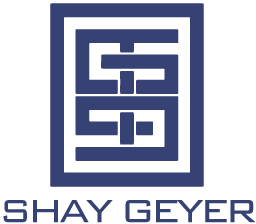 The shutters were already in the room when we purchased the home. My mom & I made the Barbie mirror for her nursery & it’s one of her favorite things. It worked out perfectly over her chest of drawers from Oomph. 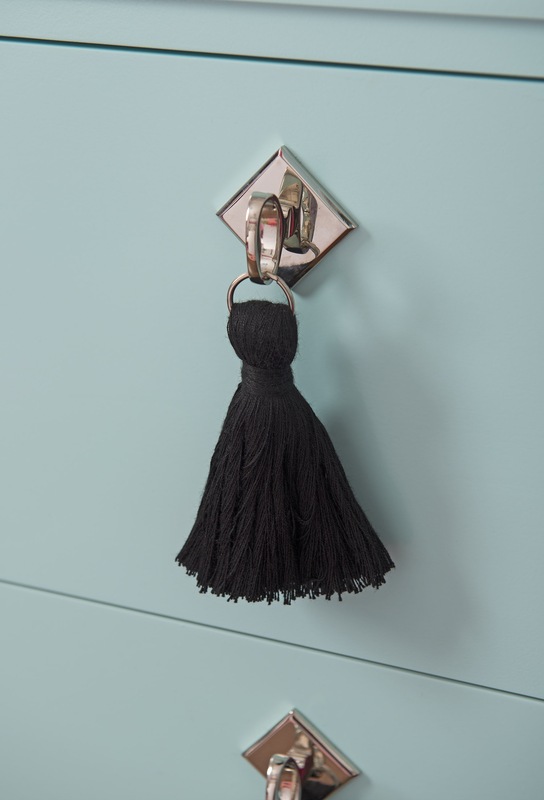 The black tassel pulls are adorable on this chest! Brookie loves to read so we keep plenty of books on hand on her nightstand to read before bed each night. She loves pigs (actually any animal at all!) 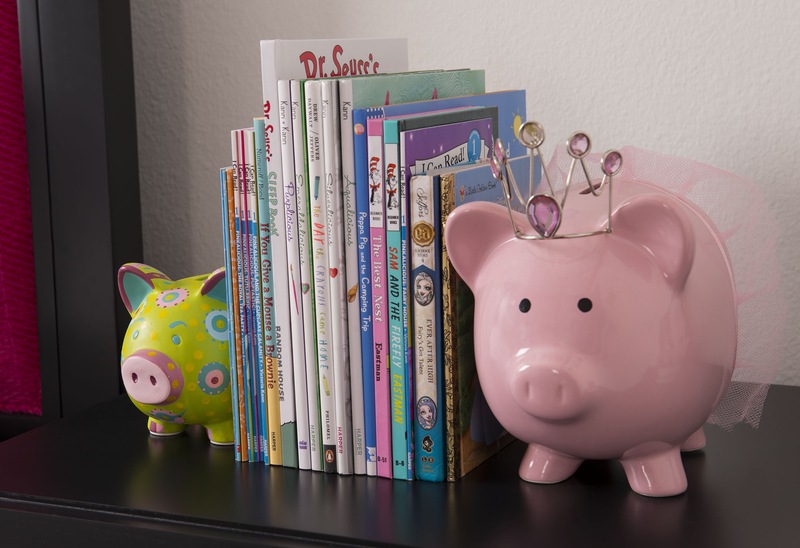 so I used two piggy banks given to her when she was born as the bookends. She & her sister both took up the ukulele this year, so her pink one (which has become a favorite thing) also rests on her nightstand.